There’s a stigma surrounding Pixar’s Cars franchise that these films exist solely to sell toys. The box office results certainly support that feeling, with Cars 3 ranking 17 out of the 18 Pixar features at the box office. But to judge Cars 3 simply by the fact that it’s a Cars film is selling it short, and I encourage all animation fans to free your mind and give it the chance it deserves. You can now enjoy it from the comfort of your home thanks to the advanced Digital HD release (Blu-Ray and DVD releases will follow on November 7th). It’s easy to forget just how charming and heartwarming the original 2005 Cars film was. It’s been muddied by a lackluster sequel, fifteen Mater-centric shorts, and two DisneyToon Studios spin-off films with a third on the horizon, all of which more or less lost the heart and soul of the poignant classic. The important thing to know is that Cars 3 makes no mention of any of these successive projects, feeling like a more direct follow-up to the original that is connected not only in tone, but also in spirit. 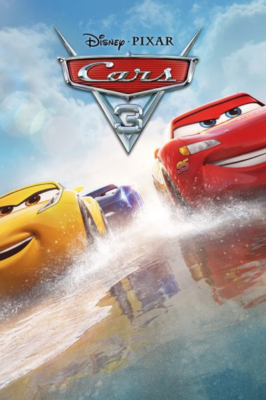 Lighting McQueen’s years at the top of the racing scene comes to an abrupt stop when a crew of next generation racers arrive, lead by superstar rookie Jackson Storm. When his sponsor, Rust-eze, is bought by a new corporate tycoon, McQueen finds himself at risk of being left in the dust. Assigned a young personal trainer named Cruz Ramirez, McQueen will need to reconnect with the elements that made him fall in love with the sport to begin with if he’s going to remain a competitor in this tough industry. The delightful surprise is that the heart of Cars 3 comes from the relationship between Lightning McQueen and Cruz Ramirez. He unintentionally becomes her mentor, becoming more like his idol Doc Hudson as he becomes an old-timer in a young-man’s sport. And the most groundbreaking aspect of the film is not the amazing computer rendering power that creates a photorealistic world, but the glass ceiling breaking message the film takes on. It makes a powerful statement that 2017 needs to hear and the world is going to be a better place simply because kids will grow up with a story like this in what is often perceived as a boy-centric franchise. With an amazing soundtrack of new and classic songs, a beautiful score by Randy Newman, inspirational messages, and a whole lot of heart, Cars 3 is a return to form for the franchise. In fact, upon second viewing I can safely say that I prefer this film to the original. How often can you make a statement like that about the third entry in a franchise? 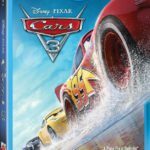 Cars 3 races onto Digital HD ahead of its disc release, where it is paired with hours of bonus features worthy of a 2-disc DVD set (remember those?). You’ll get to go behind the scenes to learn more about the film from the creative team and voice cast. It also includes the wonderful original short that accompanied the film in theaters. L.O.U. (6:45) – The original short that accompanied Cars 3 in theaters finds an invisible force competing against a schoolyard bully to return items to kids from a lost & found bin. Miss Fritter’s Racing School (2:47) – A new short created for this release that takes place immediately after the events of the film. Miss Fritter uses her connection to Lightning McQueen and Cruz Ramirez to help sell her new racing school service. Cruz Ramirez: The Yellow Car that Could (7:47) – A deep exploration into the character of Cruz Ramirez and how she was created. Ready for the Race (5:41) – Olivia Rodrigo from Disney Channel’s Bizaardvark hosts this tour of Hendrick Motorsports, which served as the real world inspiration for Sterling’s next gen training headquarters. Let’s. Get. Crazy. (7:42) – Lea DeLaria (Miss Fritter) visits the location that inspired the Thunder Hollow Crazy 8 sequence along with the creators discussing how the sequence came to be. 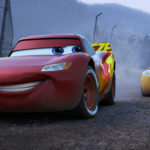 Generations: The Story of Cars 3 (11:18) – The story team discusses how they arrived at the aging athlete plot of Lightning McQueen’s third outing. Cars to Die(cast) For (5:21) – The animators discuss the Cars merchandise phenomenon and discuss the metal diecast pieces, which now number over 1,000 after Cars 3 characters were added to the Mattel line. Pixar employees also show off their personal collections. Legacy (11:21) – Cars 3 pays homage to several racing legends, whose stories are explored in this featurette. World’s Fastest Billboard (5:30) – Dive into the custom graphics from the film, including hidden references to other Pixar films and funny in-jokes you definitely missed. My First Car: A Green Car on the Red Carpet with Kerry Washington (1:51) – The Scandal actress narrates this animated recollection of her very first car. My First Car: Old Blue (1:18) – Graphics Art Director Craig Foster describes his first car, a hand-me-down truck. My First Car: Still in the Family (2:15) – Pixar Technical Resident Valeria Barra shares her memories of receiving a car as a graduation gift in Italy. Commentary (1:42:24) – Director Brian Fee, Producer Kevin Reher, Co-Producer Andrea Warren, and Creative Director Jay Ward lead this engaging commentary track. It’s full of production anecdotes, inspirations from the creative scenes, and they also point out many hidden references to Disney and Pixar films, including the pumpkin coach from Cinderella. Deleted Scenes – Five deleted scenes are presented with a “Play All” option or individually, each with an introduction to set the scene. 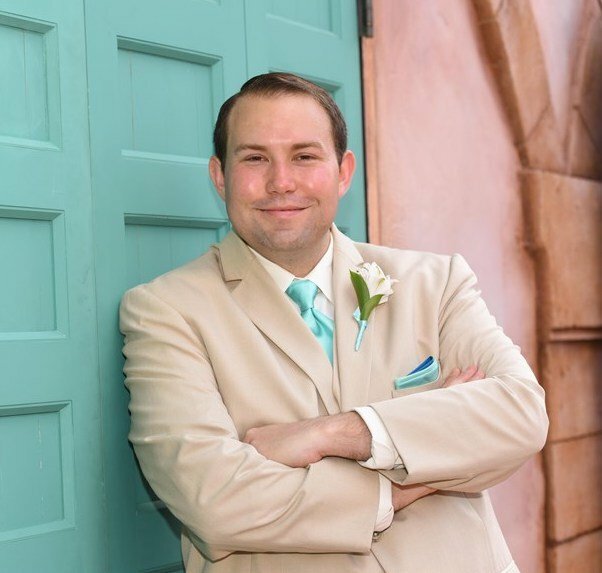 Introduction (0:55) – Director Brian Fee provides a general introduction. The Boogie Woogie (5:02) – Lightning and Cruz are about to race for the first time in this alternate version of the beach scene. Lug Nuts (2:49) – An alternate version of the scene where Lightning and Cruz have a fight, in which Cruz had a little too much confidence. Jars of Dirt (4:19) – Another variation of the same fight scene, which features jars of dirt from different race tracks. The Bolt (4:16) – A true deleted scene that was cut because it referenced the jars of dirt and boogie woogie dance which had already been eliminated. 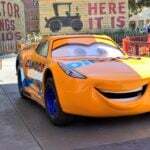 More Than New Paint (8:50) – In this scene, Sterling tells McQueen he can’t race in the third act because McQueen’s brand is worth more if he retires, so he changes his paint in defiance. Fly Throughs – Three set fly throughs are presented to give you a sense of the scale and detail of these digital sets, often providing angles unseen in the film. 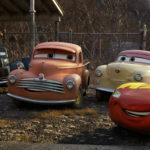 Cars D’oeuvres (4:27) – Short clips of character animation strung together, which were used in promotional materials for the film. Car Reveals – Cruz Ramirez (0:41) – A look at Cruz’s details. Car Reveals – Jackson Storm (0:39) – Jackson’s highlights get highlighted. Cars 3 is a visually striking film, setting characters with reflective surfaces in a photo realistic world. Reviewing the HD digital copy from iTunes on an Apple TV, the film looks fantastic. Dark muted colors and black levels look perfect, with brighter colors handling extremely well. Details are crisp and sharp. While it can certainly be improved upon by the upcoming Blu-Ray and 4K disc releases, there are no obvious flaws and the overall presentation is top notch for digital streaming. The digital copy through iTunes comes with three audio options. The main track is an English Dolby 5.1 mix that makes excellent use of the sound spectrum, although the mix will surely be surpassed by the uncompressed 7.1 track on the Blu-Ray and UHD releases. Other audio options include a stereo descriptive audio track for the visually impaired and a stereo Spanish mix. Subtitles are available in English and Spanish. If you haven’t seen Cars 3, you owe it to yourself to give it a chance. It is sure to surprise and delight audiences with its winning story and powerful themes. 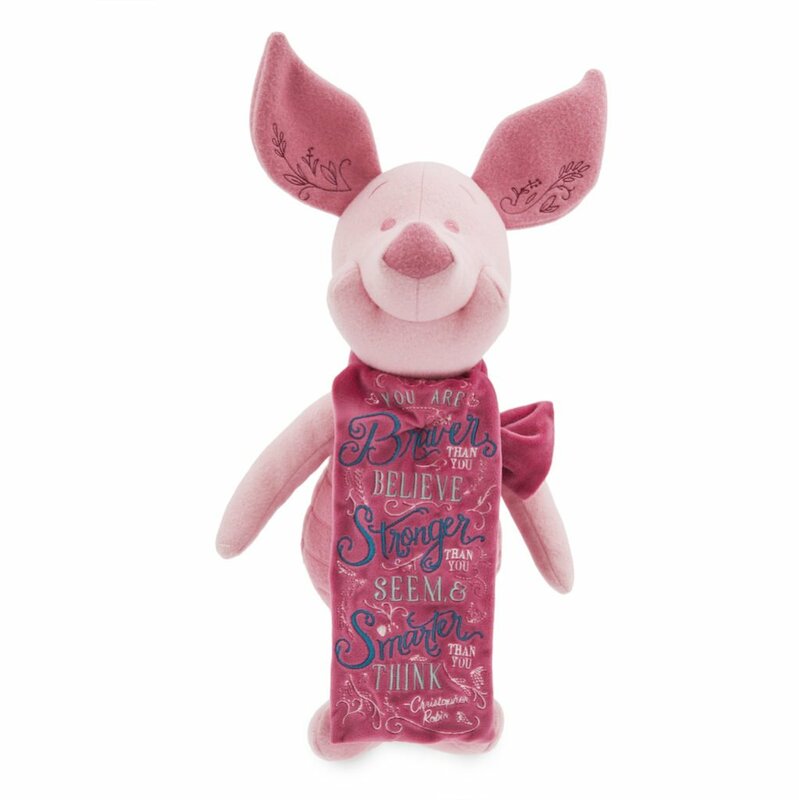 While Disney surely made more money off of merchandise sales than box office tickets, this film is much more than a mere vehicle to push product. With some worthwhile and insightful bonus features, it’s easy to justify purchasing the film verses waiting for digital rental to become available. The Invisible Character Behind Pixar’s L.O.U.